Understanding that the holidays can be an especially difficult time for kids in foster care, Seattle Monorail Services and the Downtown Seattle Association wanted to do something special for Treehouse kids and families. Treehouse is a local nonprofit organization that serves the needs of kids in foster care. 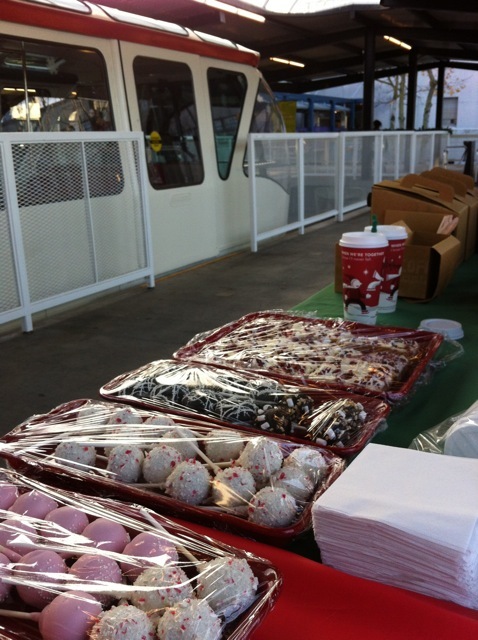 On Friday, November 25, 2011, over 100 Treehouse kids and family members gathered on the Seattle Center Monorail platform for treats and beverages donated by Starbucks Coffee Company. 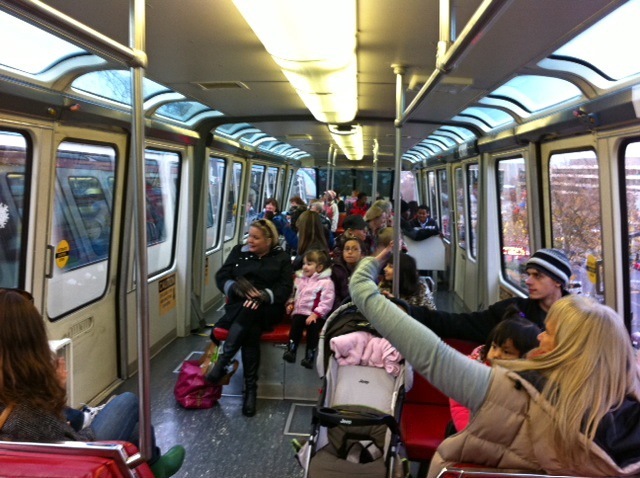 Guests then boarded the Monorail Red Train for an extended, exclusive, Treehouse-only ride to the tree lighting ceremony at Westlake. During the trip, several amazing raffle prizes were given away including tickets to The Children’s Museum, Ride the Ducks of Seattle, and Argosy Cruises. 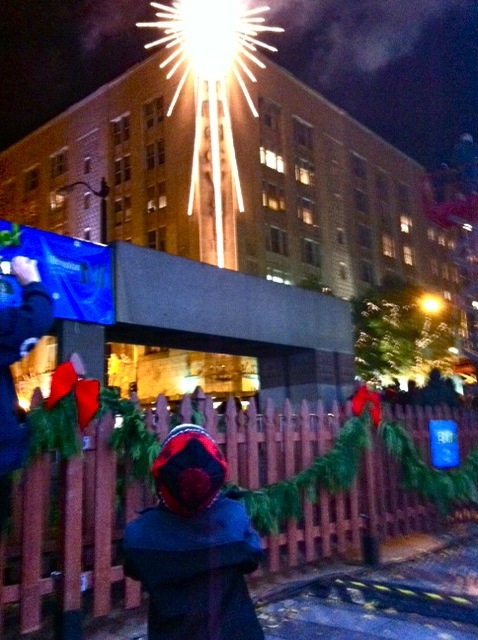 After exiting the Monorail at Westlake Center, Treehouse guests were escorted by Metropolitan Improvement District Ambassadors to the VIP area of the Carousel to watch the treelighting and lighting of the Macy’s star. 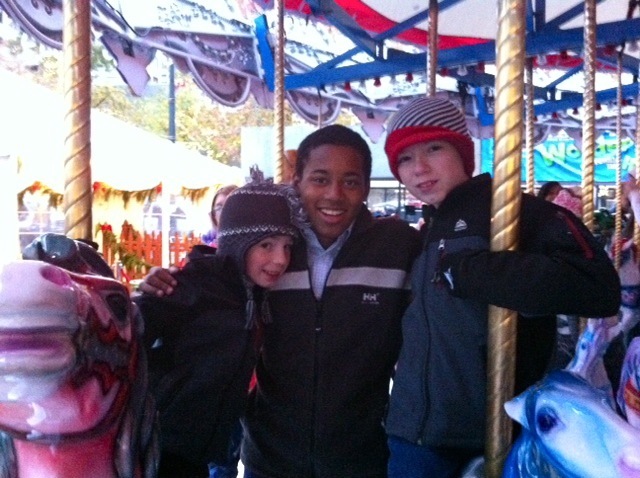 Treehouse kids were then invited to pick a horse on the Carousel for the ‘first ride of the season’. If you’d like to help Treehouse, you can pick up a Treehouse shopping bag at the Seattle Center Monorail platform and purchase a gift for a foster child while you’re downtown. When you’re finished shopping, please drop the gift off at the Holiday Carousel conveniently located in Westlake Park (on Pine Street between 4th & 5th Avenue). Happy Holidays! This entry was posted on November 29, 2011 by Megan Ching. It was filed under Information, Photos, Upcoming Events and was tagged with Argosy Cruises, Carousel, Donations, Foster Children, Holidays, Monorail train, Ride Into the Holidays, Ride the Ducks of Seattle, Seattle Center Monorail, Seattle Monorail, The Children's Museum, tree lighting, Treehouse, Treehouse Shopping Bags.